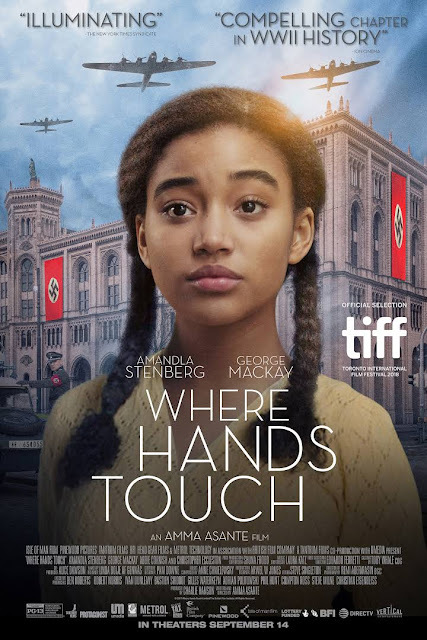 Last week I had the amazing opportunity to attend a special pre-screening of Where Hands Touch at the Covent Garden Hotel, hosted by Black British director and writer 12 time award-winning Amma Asante MBE. Amma Asante also directed Belle (2013) and A United Kingdom (2016). When I received the email invitation to this film screening, I was in two minds. 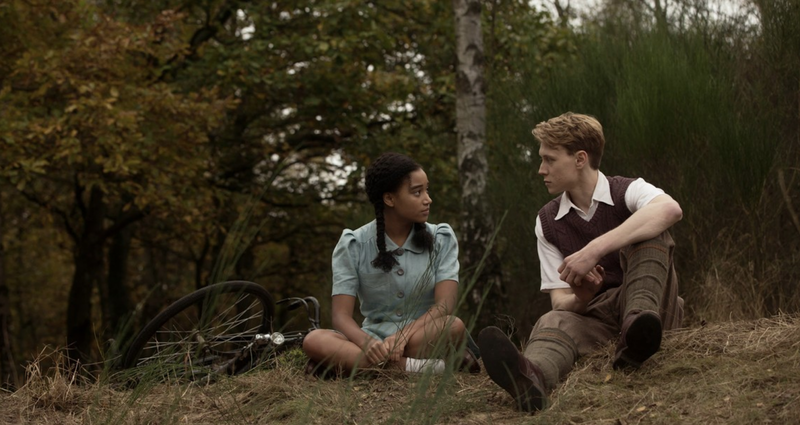 I had heard about the distain many had on twitter about the romanticising of a bi-racial girl of African decent falling in love with a White German Nazi boy. I believed the hype. I believe that this film wasn't worth my time or even entertaining, but then I thought, hmmm lemme see what its about. How can I judge something I haven't seen? I was so wrong and am so glad that I watched this film. One of the reasons I didn't want to see this film was because of a personal gripe or upset I had. I am yet to see a black woman as a lead character in a period piece where the story is told from her point of view. After having a conversation with director Amma Asante and listening to her experiences within the film industry my thoughts changed. You could say I learnt a lot this day! I feel that as black people a lot of times we are yearning acceptance from a world that doesn't like us, we know it doesn't but we still want approval. We want to be seen for the greatness we are and I think that is where my thoughts came from. I want black women to be on the big screen in all our glory. I know it will come and when it does, it will be a glorious day. So back to my thoughts on this film. I was holding back the tears. I became invested in lead character Leyna and her journey throughout the film. Now mind you I missed the first 10 minutes due to TFL and their foolishness...and cannot wait to watch it a second time and that is whether I missed the beginning or not. It was that good! One of the things I have always struggled with, is my Black British identity as I don't feel British at all...I have never really felt like I belong in Britain. My family are Caribbean and I am only in touch with my mother's side which is from Barbados. I recently took a trip there, which made me feel even more connected to the island...but I'm not Bajan. I indentify as Afro-Caribbean. Its such a weird feeling to feel like you don't belong and I could relate to Leyna's character. 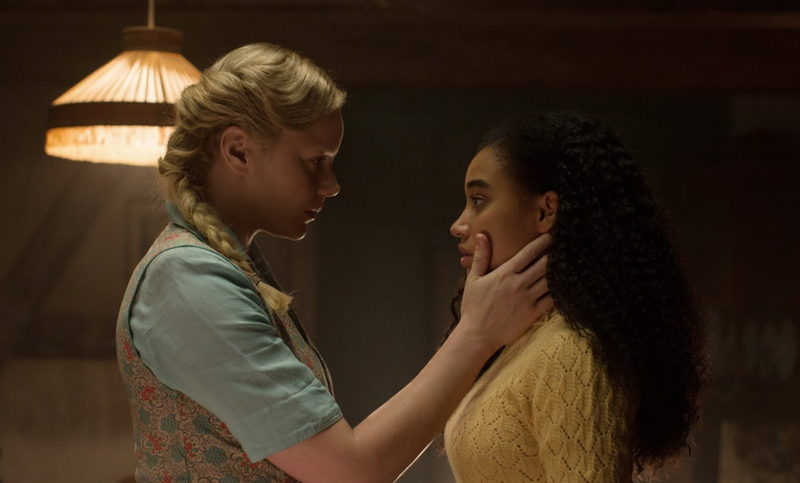 She is a German born bi-racial girl, with a white German mother and a deceased Black Senegalese father who lives in a town where no one looks like her. Her identity and blackness is constantly of notice to everyone else but is also a confusion to herself because she identifies as German, during a time when being German was of importance due to the killings of Jewish people. There were a lot of similarities to how black people today try to 'fit in' or assimilate into a society that doesn't look like them for survival. I also loved the strength of her mother. She reminded me weirdly of my own. 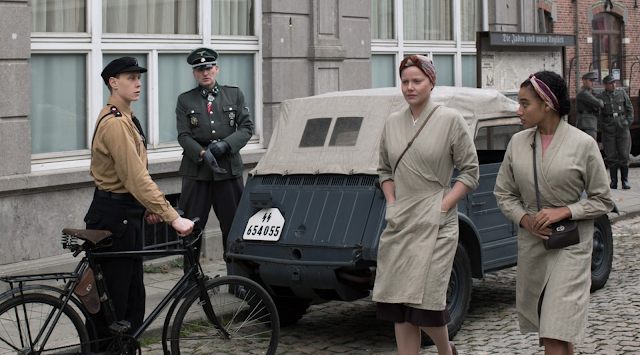 I saw a woman who wasn't ashamed of a child she produced that she knew Nazi Germany wouldn't embrace but she still continued to fight for the safety of her child, as every mother should. 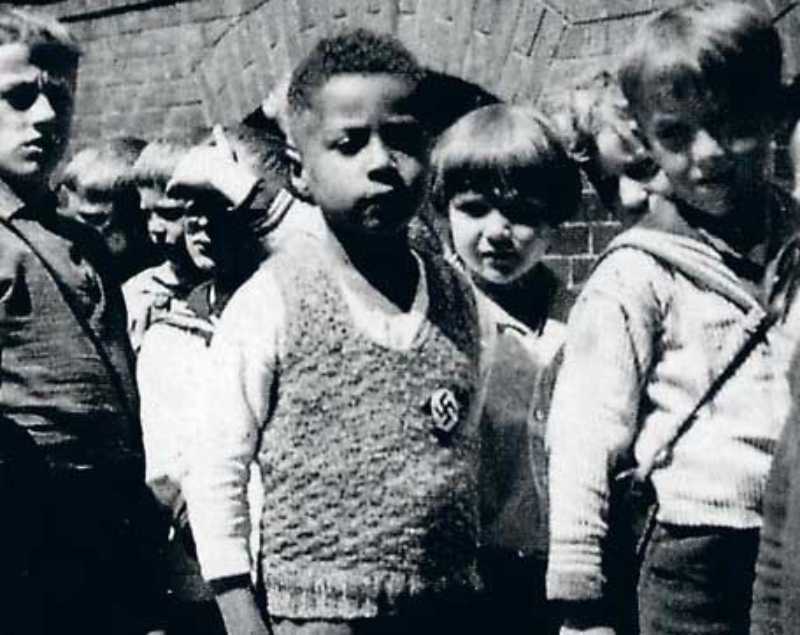 I have heard many stories of bi-racial children being a shame of the family, the black sheep, or mis-treated because they weren't white, so it was very refreshing to watch. I also loved that Leyna's mother didn't attempt to encourage her to pick a side or dismiss one. She understood that there were rules that were set that would alienate Leyna but still continued to allow her to be who she was. Now to what everyone is mad at. The romance. Who else was Leyna supposed to fall in love with if she was the only bi-racial girl in the village? During a time when black people were being sterilised and killed. I don't know where this magical black prince in shining armour was meant to appear from? Was she meant to be single for her entire life? Was she meant to leave Germany and find a black man overseas? I'm trying to understand the upset. Yes, I understand that many feel loving a Nazi could be one of the worst options for her,but we gotta put some context to this. I won't give anything away, but he didn't abuse her and wasn't her white saviour to put your mind at ease. I think people are stuck on Lutz being a Nazi and not thinking about that Lutz and Leyna were two teenagers living in an environment they didn't control and aside from their beliefs, they were human. Yes the ideal of a person of colour being in love with a Nazi sounds ludicrous, but...it did happen. We can't ignore that this was some people's reality. One of the the things I loved about this film was the fact that Leyna's character was not only relatable but she was strong. Like I said before we rarely see a black woman on screen in a period piece as strong, just always an assistant to someone else, whether it be a slave, maid or the woman with two speaking lines. I enjoyed that Leyna was venerable but she found strength in her weakness and made it work for her. 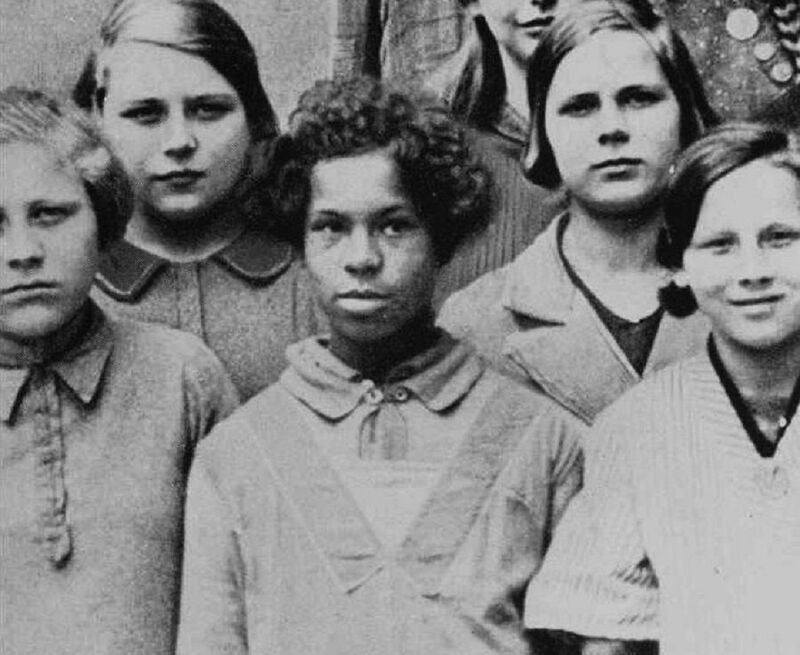 I also had no clue about Afro Germans, maybe that is my ignorance but I just didn't really think about black people in Germany during the Holocaust. I guess I can blame that on the lack of black history in schools, but also because a lot of black history is focused on Slavery in America and that's it. This film encouraged me to want to know more because its so interesting to me. Amma Asante spoke of some of the Afro Germans she interviewed whilst writing this film and the similarities between Leyna's story. I hope that if you are reading this, you go and watch Where Hands Touch. I encourage you to be open-minded and also think about the time it is set in. Think about the reality of then and the reality of now. Also think about how, not much has changed and how you can do your bit to encourage a change. 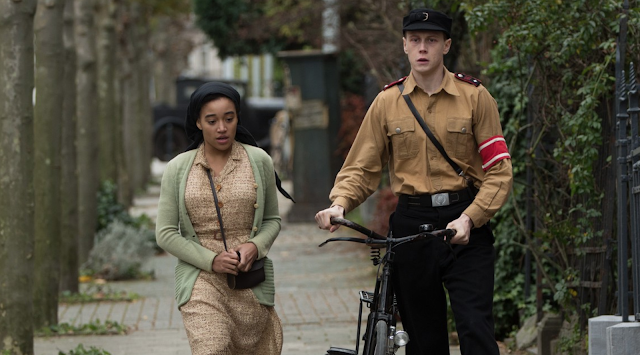 Where Hands Touch is available in US cinemas September 2018 and UK February 2019.